The group Mohammed Ali (formerly known as UKN) which consists of rappers Moms och Alias Ruggig released their album “Processen” a couple of months ago as a free download through the Swedish hip hop community Whoa. The album was their return to the spotlight after their change of name from UKN to Mohammed Ali. Even though a change of name might seem like just a PR-trick, this was clearly not the case with Mohammed Ali as the album featured a more mature sound than previously and it was obvious that they really had put down a lot of effort into their songs. The album was well recieved by the audience as well as the critics and Chepe from The Salazar Brothers even said that “this is the best album I’ve heard in 10 years!”. 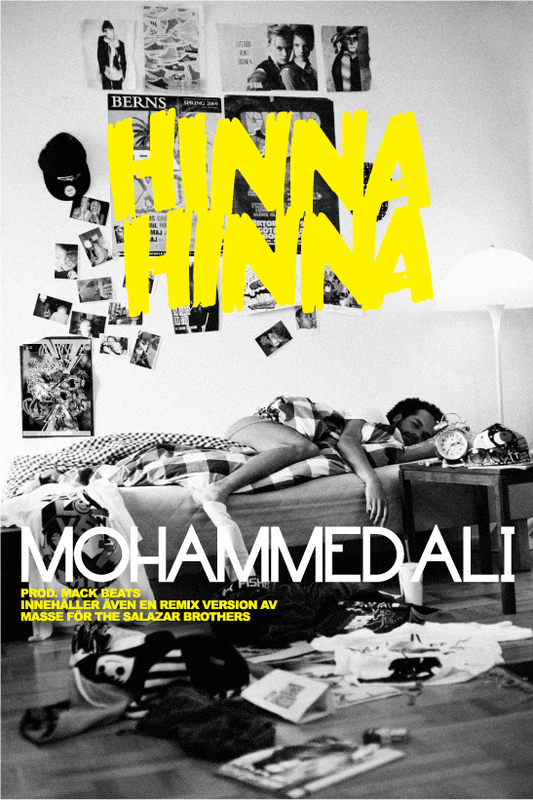 The track “Hinna Hinna”, which deals with the more commercial influence in hip hop today, has been climbing the swedish national radio for a couple of months now and recently they released a remix produced by Masse. The remix was released exclusively from Ametist blog on MTV and can be downloaded from here! If you haven’t already downloaded “Processen” I strongly advise you to do it, because it is one of best releases (so far) of 2009! You can download “Processen” from whoa’s blog. The album “Processen” is part of a trilogy and the second and third installment, “Processen fortsätter” and “Slutprocessen”, are scheduled for release later this year! This entry was posted in Nyheter and tagged Alias Ruggig, Ametist, Chepe, Hinna Hinna, Masse, Mohammed Ali, Moms, MTV, Processen, Processen Fortsätter, Slutprocessen, The Salazar Brothers, UKN, Underklassen, Whoa on April 22, 2009 by Daniel.